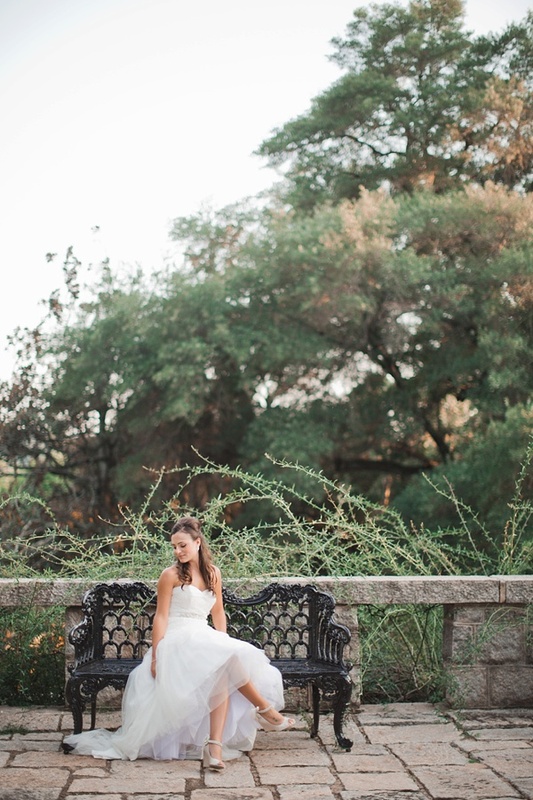 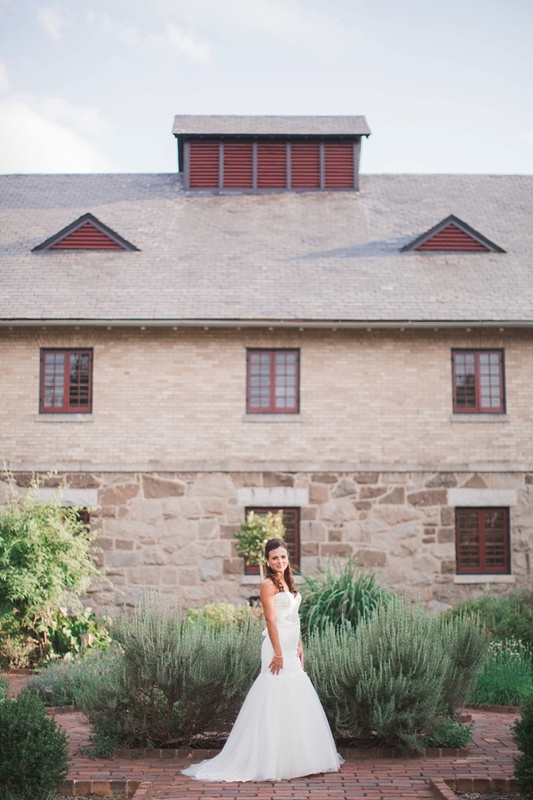 This lovely rustic-loving bride, Amanda, wanted something a little different than rustic for her bridal portraits with Andrew and Tianna Photography. 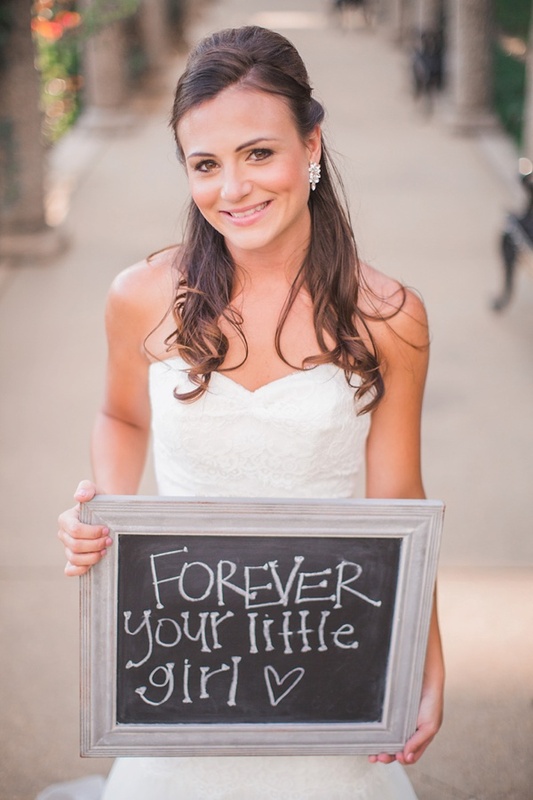 Using her session as not only a test run for her wedding day hair and makeup, but a chance to get some gorgeous portraits pre-wedding, especially one particular photo with her holding a chalkboard sign that said "Forever your little girl"... all for a wedding day present for her Dad! 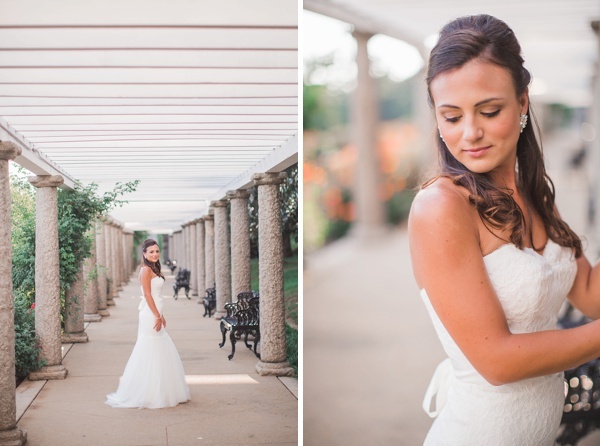 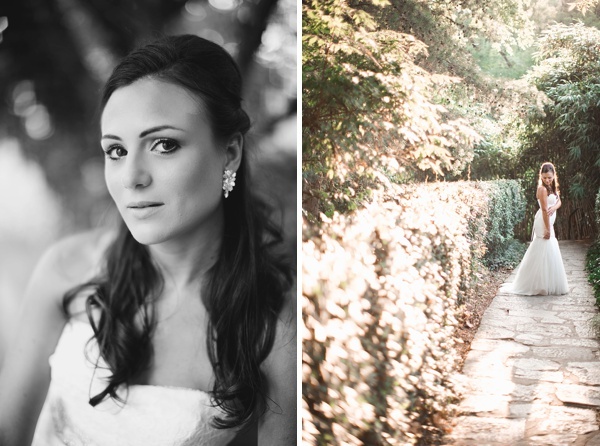 So one beautifully dreamy afternoon, they made the trek from Chesapeake to Richmond for the timeless and painterly backdrop that Maymont Park is known for. 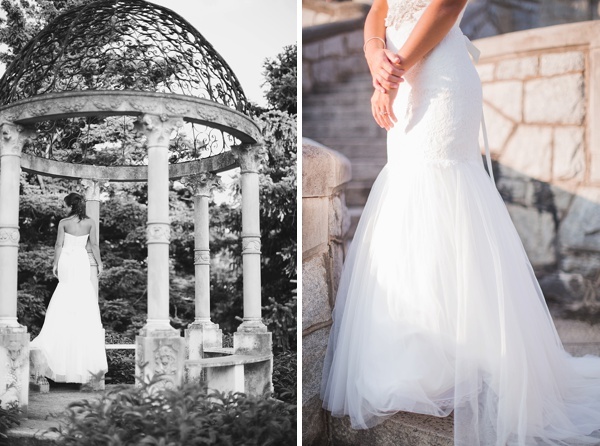 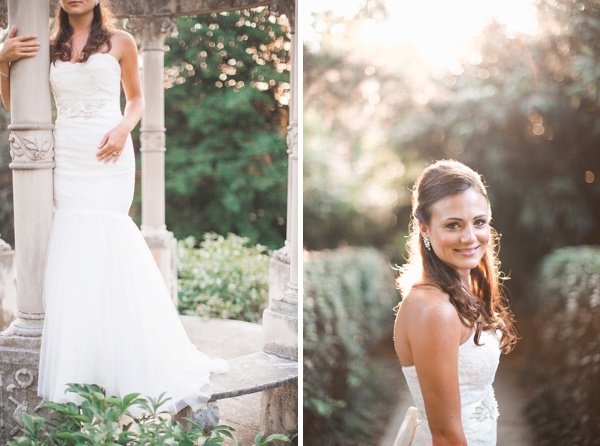 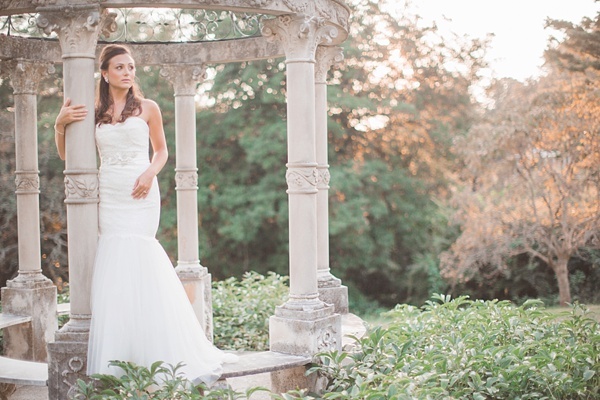 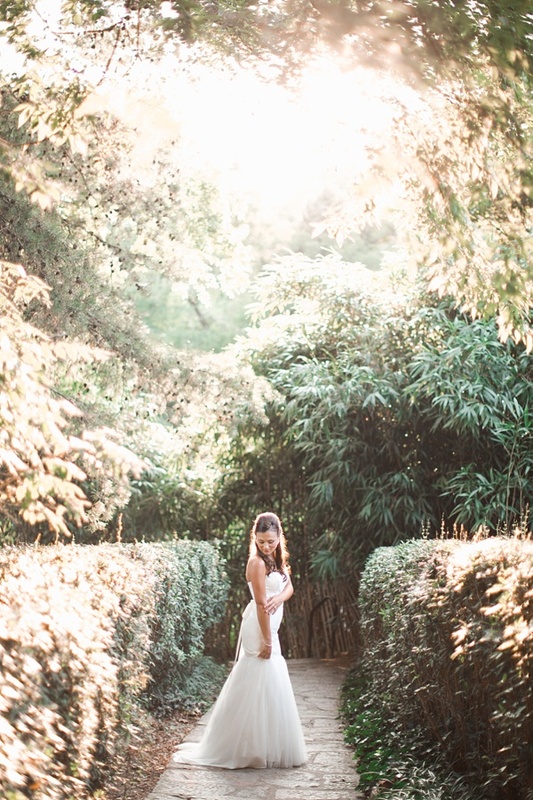 Donning a mermaid fit white lace gown with a sweetheart neckline from David's Bridal and ivory wedge heels with pretty bow ankle straps, Amanda is the perfect example of sweet bridal beauty.